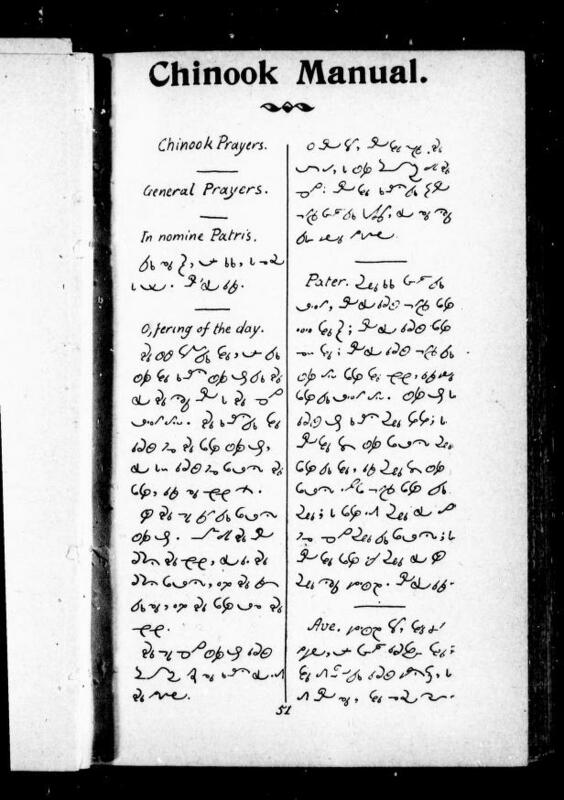 People are looking for this kind of thing online……so here’s a Chinook Jargon prayer. It’s the “Offering of the Day”. mamuk, kakwa iaka tomtom Sh[isyu] K[ri]. do, as he think Jesus Christ. to an end, their penance. — from the Chinook Manual (1896) by J.M.R. Le Jeune, page 45.